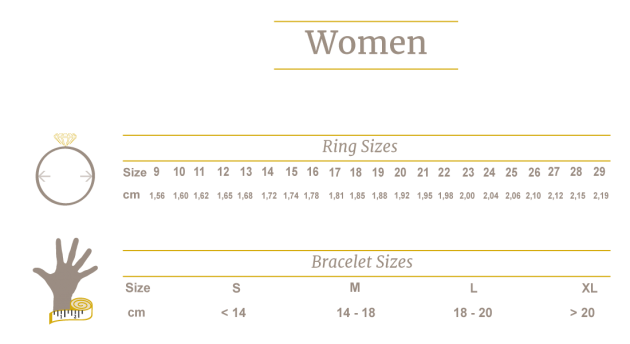 The most popular bracelet size is 19 cm. A bracelet is perfectly sized when you measure your wrist tightly and add 2 cm. If you are between sizes ask yourself how you like to wear your bracelet. 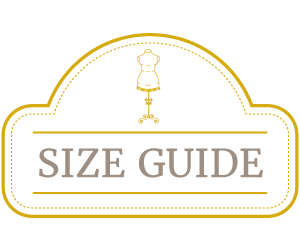 If you wear it tightly choose the smaller size and if you like to wear it loosely take the next size up. Please be aware that when you receive a new bracelet it will feel stiff, which can make it seem uncomfortably tight. The bracelet will quickly soften and become more flexible as you wear it. You can also measure a bracelet you already have. 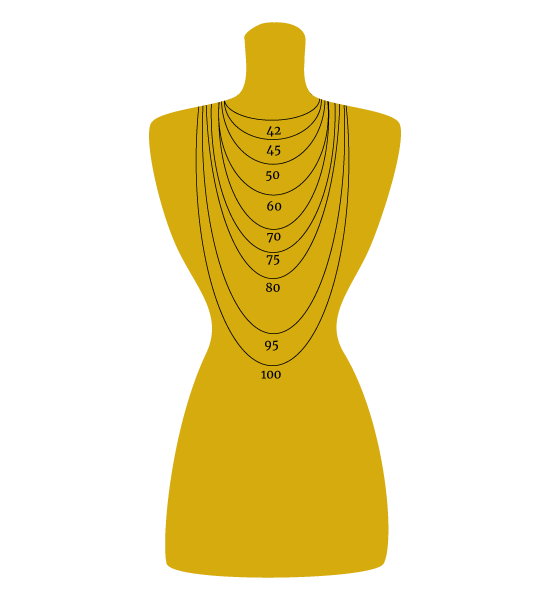 You should measure end to end for the correct size. Please bear in mind that if you have had your bracelet for a while (1 year+) it has possibly grown 1 cm. Size 17 cm: will fit a wrist that measures be-tween 15 cm and 16 cm. Size 19 cm: will fit a wrist that measures be-tween 17 cm and 18 cm. Size 21 cm: will fit a wrist that measures between 19 cm and 20 cm.